At some point of time, you may have looked for a way to use two distinct WhatsApp accounts on the same device; say, one for your friends & family, and another for your colleagues at the office. Currently, the official WhatsApp client does not allow you to do that. But, there are certain WhatsApp tweaks available for iOS devices that allow you to install and use a second version of the app alongside the original app. 2 Are WhatsApp++ and Duplicate Watusi safe to use? Duplicate Watusi is an unofficial WhatsApp tweak that comes with a number of extra features that are not found in the official WhatsApp app. One of its predominant features is that it enables the installation of the app as a separate instance, without overwriting or replacing the existing version of WhatsApp (original or tweaked) installed on your device. As with other tweaked apps, Duplicate Watusi is not available on the App Store, so usually, you’d have to rely on third-party app repositories (like Cydia) and jailbreaking, in order to get these apps working on your iPhone. But thanks to BuildStore, you can now get many of these app tweaks, game emulators, and other apps, which are not available on the App Store, on your iOS devices without jailbreak. BuildStore works on a subscription-based model, and you can get access to a variety of useful apps for $11.99/year per device. Duplicate Watusi is available on BuildStore, and you can install it on your iPhone by following the steps below. Download and install Duplicate Watusi on your iPhone via BuildStore. Sign in with your alternate phone number and use it alongside your regular WhatsApp account. Duplicate Watusi will be installed as a separate app, without affecting your existing WhatsApp installation. 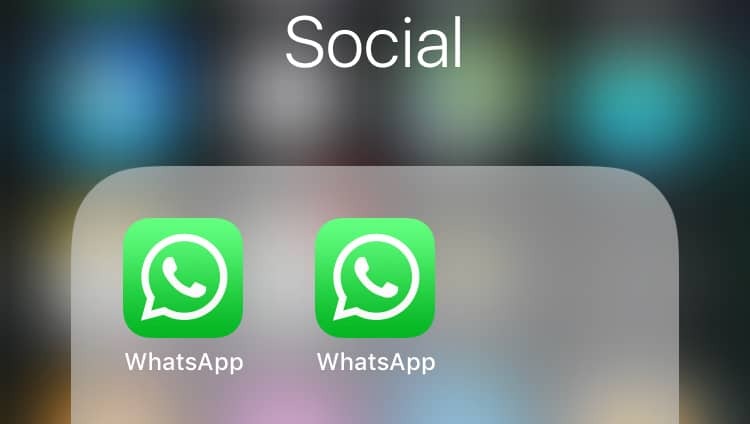 Note: Ideally, you may install Duplicate Watusi along with the official version of WhatsApp on your iPhone, but if you want to utilize the full range of tweaked features on both your WhatsApp accounts, you can replace the official WhatsApp app with WhatsApp++ installed from BuildStore. Are WhatsApp++ and Duplicate Watusi safe to use? However, BuildStore does not claim any responsibility for any action (for example, disabling of accounts) taken against the user by original app developers, for using the tweaked apps. But then again, it is unlikely that WhatsApp will ban your account for using an unofficial client. Note: BuildStore is a paid service that allows access to apps that aren’t available on the App Store. However, some of these apps (like WhatsApp++) may be ad-supported, which may be removed (either temporarily or permanently), through social sharing or in-app purchase. So now you know how you can use two different WhatsApp accounts on the same iPhone. Let us know your views on the workaround, in the comments below. Disclaimer: The article is only intended as a knowledge base for installing two WhatsApp apps on non jailbroken iOS devices. 7labs may not be held responsible for any violation of the terms and conditions, as laid out by the original app developers.